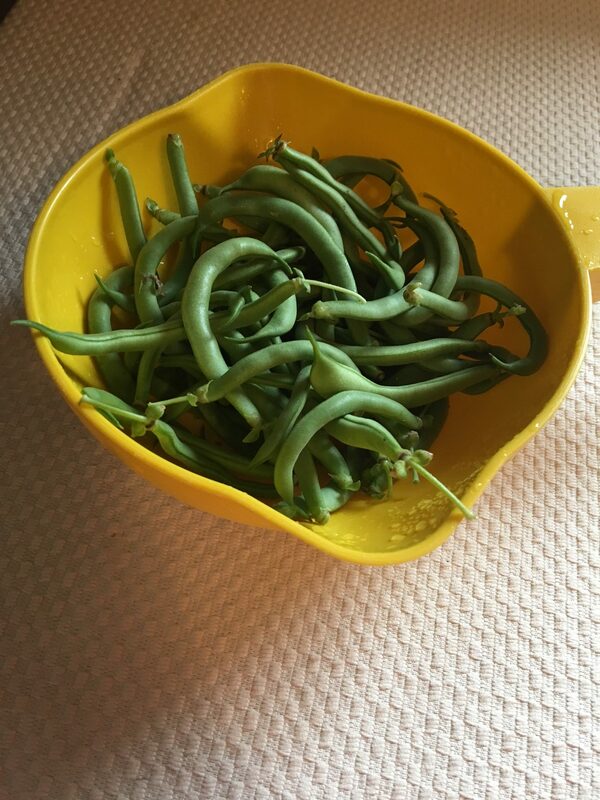 I’m a newbie gardener; this is only my second year of trying to grow delicious, organic vegetables, which I will then sneak into various dishes I prepare for my family. I have no idea what I’m doing most of the time. I’m learning as I go, mostly by making mistakes, some more costly than others. I put great effort and time into trying to do everything right. Sometimes it works, sometimes it does not. Yesterday, I checked on my bean plants. Something has been chewing on them lately, and I was feeling discouraged because I wasn’t getting much production. I thought about just giving up on them for this year, but for some reason, I didn’t. I put in the work – watering, weeding, and removing insects that don’t belong. This morning, as I do every morning, I went to the garden to see what needed to be done. As I approached, I saw dozens of blooms on the bean plants that weren’t there yesterday. And, as if by some miracle, I had the biggest single day harvest of beans I’ve ever had! Suddenly, the future looked bright. I see great harvests to come, and once again, I’m feeling motivated to keep investing myself in this venture. There’s a life lesson here: when you want to give up on…(insert whatever is relevant, job, school, people, life)…keep tending the garden. There are things going on underneath the surface that you can’t see. You can’t predict the harvest. Keep sowing the seeds, putting in the work, and believing. Then sit back and see what happens. You might be surprised.